Finding new windows for your home can be a bit nerve-wracking. With the tons of options, upgrades, and features available, its easy to get lost in the details. Understanding the difference in the types of windows can help make your choice easier. Let’s take a look at the different types of windows, and the cost of windows for new construction. There are a three different types of new construction windows. Fixed windows don’t open and can brighten a darker room. These windows are great for areas like foyers, pathways, basements and decks. Operational windows include styles like single and double hung, awning, casement and more. These windows open and close making them perfect for any room in your home. Bay, Bow, and Garden windows create a dramatic look by combining several windows together. *Please keep in mind that these prices can fluctuate depending on a wide variety of factors, so be sure to get local estimates. This can give you a more accurate idea of what your Cost of Windows for New Construction should be. New construction windows are a bit different than replacement windows. These windows include a full frame, including sashes, hardware, and glass. This is what most people picture as an entire window. Compare this to replacement windows, that only come with glass, hardware, and sashes. What this means for you is: new construction windows will generally cost more. This is because there is more material required during production compared to replacement windows. To give you a better idea of the cost difference, let’s compare the numbers. Here are the estimated costs of installing new construction windows in an existing home. There is a good reason for this. 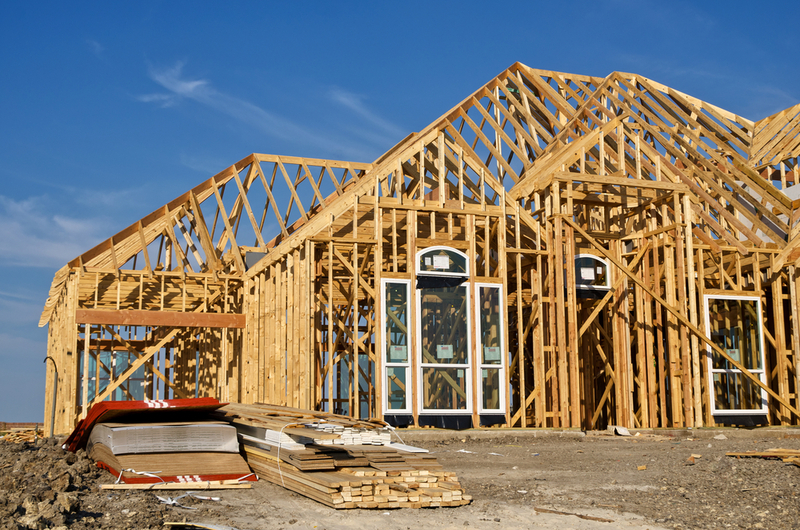 In new construction homes, contractors customize the openings to accommodate the new windows. This means easier installation with less labor. But, when installing new construction windows in an existing home, the windows have to be made for the opening and are more difficult to install. You should always get estimates from a few local contractors. This can help you to get a more accurate idea of what your cost of windows for new construction will be. Find a contractor in your area for a FREE consultation on the cost of windows for new construction. Simply contact us by using the form available on this page. This will allow you to connect with local contractors who will personally visit your home for a no-cost window replacement assessment.